Pace Laps: NASCAR Experiences Martinsville Monotony? Home / AJ Hecht / Pace Laps: NASCAR Experiences Martinsville Monotony? 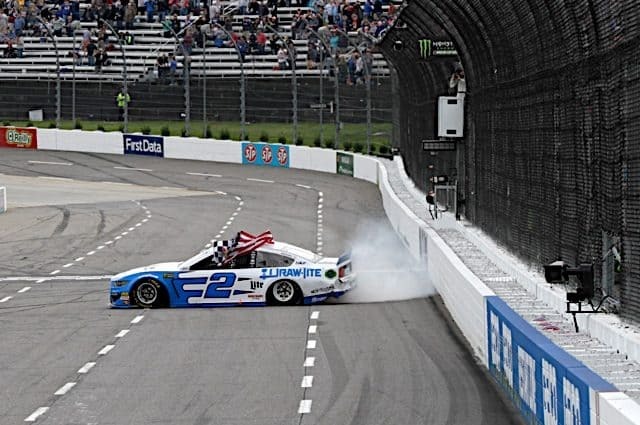 Frontstretch Staff March 24, 2019 AJ Hecht, Beth Lunkenheimer, Cup Series, Dustin Albino, Featured Content, IGTC, IndyCar, Pace Laps, Phil Allaway, Sports Cars, SRO, Tom Bowles, Truck Series, Xfinity Comments Off on Pace Laps: NASCAR Experiences Martinsville Monotony? Monster Energy NASCAR Cup Series: Martinsville Monotony? 2019 has been a bit of a mixed review for NASCAR to date. An increase in TV ratings and attendance at certain tracks is a promising sign. 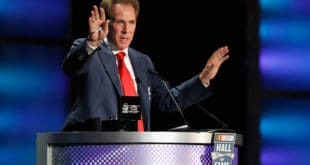 There’s an openness and excitement within the building as new leadership, led by NASCAR CEO Jim France and President Steve Phelps, works to fix major problems. Their new handling package is the start of at least a willingness for the sport to change. But six races in, Martinsville made clear what we’ve known most of the season: the racing isn’t living up to the hype. Brad Keselowski put a thumping on the field Sunday (March 24), leading a career-high 446 laps. The three lead changes were the fewest we’ve seen in a Cup race at one of the sport’s shortest, most exciting tracks in over 50 years. Battles were evident for individual positions back in the pack but too much of the field was stuck in place. A place known for the bump-and-run never really had a major incident aside from a few small temper tantrums among individual teammates. “You couldn’t pass on the racetrack,” Kyle Busch said afterward. “There’s so much downforce, you’re going through these corners so fast. I think if you don’t pass within the first five laps, then it takes 65 to see enough falloff [to pass]. Then, you can work guys over on tire degradation. NASCAR’s new rules package has caused this problem, making it obvious to most everyone passing has become more difficult. And isn’t that what people pay to see? The expected parity from new rules has also failed to transpire; if anything, stratification has gotten worse. 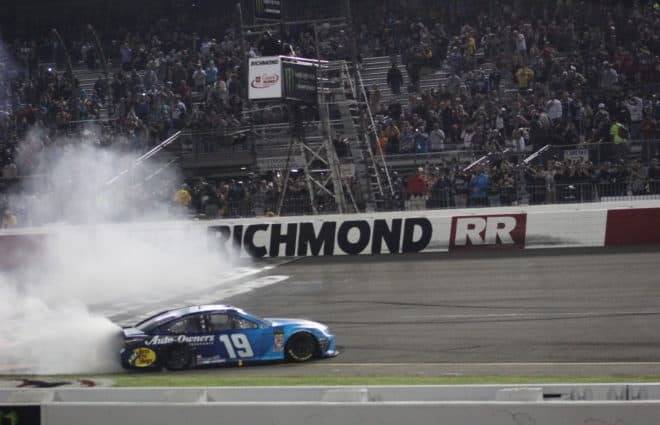 Just two organizations, Team Penske and Joe Gibbs Racing, have won the first six races of 2019. Those two and Stewart-Haas Racing are the only three teams inside the top eight in MENCS points. 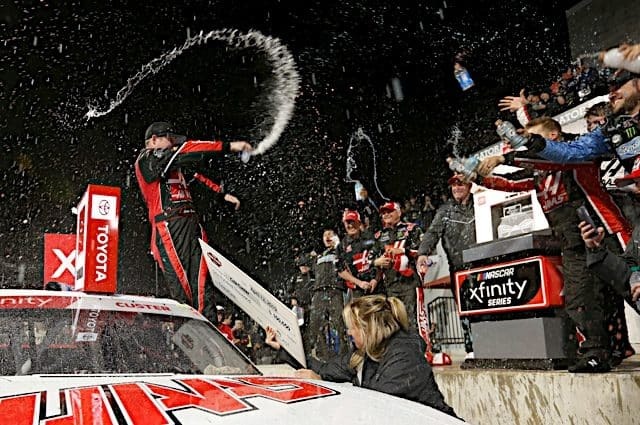 For the first time this season, NASCAR’s Xfinity Series sat on the sidelines while its Cup and Truck series went short track racing at Martinsville. So let’s recap the first five races of 2019. Michael Annett, Christopher Bell and Cole Custer have locked themselves into the postseason with wins at Daytona, Atlanta and Fontana. What about the other two races, you ask? Well, that was the Kyle Busch show as he dominated both Las Vegas and Phoenix. The victory for Annett was the first of his NASCAR career, ending a 344-race losing streak among the top three national touring series. In contrast, it was expected Bell would win early and often. Custer’s victory was unique in his own right; it’s the first time he has won in the Xfinity Series before the month of November. 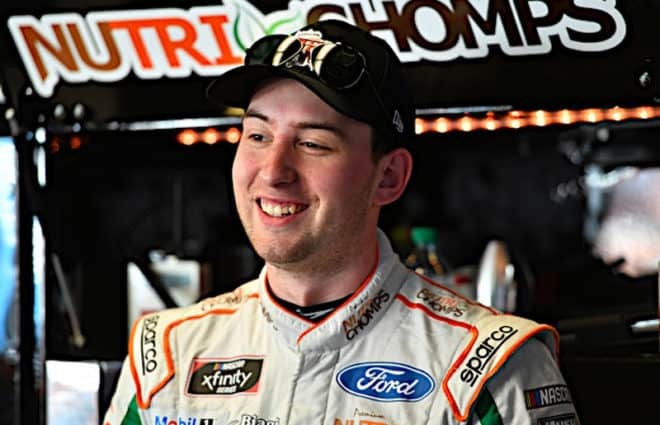 Defending series champion Tyler Reddick leads the championship standings, posting four top-10 finishes in the opening five races. Custer is close behind with Bell, Brandon Jones and Austin Cindric rounding out the top-five drivers. Along with Annett, Ryan Sieg and the No. 39 team could be in contention for most improved driver/team this season. Sieg is the only driver to have top-11 finishes in all five races, including three top 10s. He’s the biggest underdog in playoff position this season; last year’s Cinderella story Ross Chastain sits 13th. 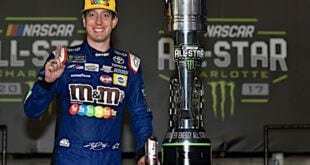 For the third straight race, Kyle Busch dominated and won at Martinsville Speedway Saturday afternoon (March 23). He led a race-high 174 of 250 laps and took his third victory in three starts this season under caution as Reid Wilson spun on the white flag lap. 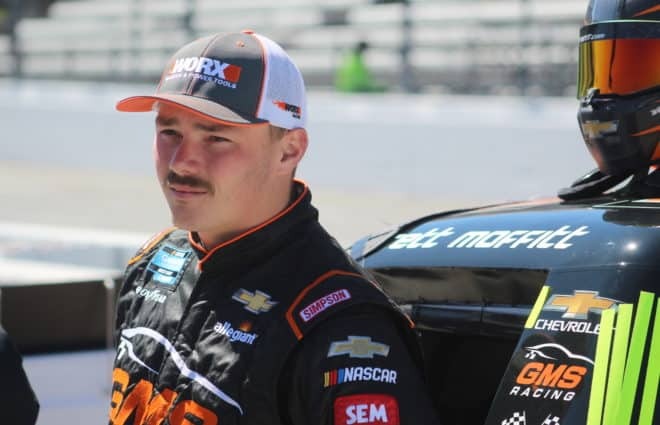 Ben Rhodes finished second, followed by defending Gander Outdoor Truck Series champion Brett Moffitt. Ross Chastain, who led 53 laps, ended up fourth, while pole sitter Stewart Friesen rounded out the top five. Meanwhile, Rhodes was only the beginning of ThorSport Racing’s presence inside the top 10. 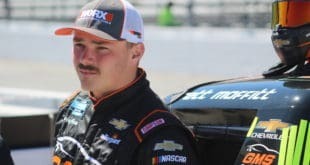 When the checkered flag flew, all five of the organization’s drivers, including the part-time effort from Myatt Snider, finished ninth or better. But the finishing order doesn’t tell the whole story. While Rhodes, Matt Crafton (eighth) and Snider (sixth) all had relatively uneventful days by Martinsville standards, the same can’t be said for Grant Enfinger and Johnny Sauter. Enfinger improved his speed across a pair of Friday practice sessions but was stumped in qualifying Saturday morning. After starting 19th, the driver of the No. 98 Ford struggled and remained outside the top 10 for much of the race. It took major adjustments and plenty of patience to give Enfinger just what he needed. That’s not easy at Martinsville but he worked his way to an eventual seventh-place finish. Sauter’s struggles are the ones that stand out the most, though. Early in the race, he struggled with power issues that ultimately turned out to be a loose plug wire. It was easily fixed under caution but cost him crucial track position. Later, a flat tire came apart and he was forced to make an unscheduled pit stop. To make matters worse, Sauter got hit with a commitment line violation when making a stop for the tire. After restarting 19th, he posted some of the fastest laps in the final runs of the race before ultimately taking the checkered flag in ninth. History was made on Sunday at Circuit of the Americas in Austin, Tex. (COTA). It looks like, all of a sudden, IndyCar might have its next big star on its hands. Beating out the likes of Josef Newgarden and Ryan Hunter-Reay – both former series champions – to the line, 18-year-old Colton Herta became the youngest winner in NTT IndyCar Series history. He surpassed previous record holder Graham Rahal by over three months. 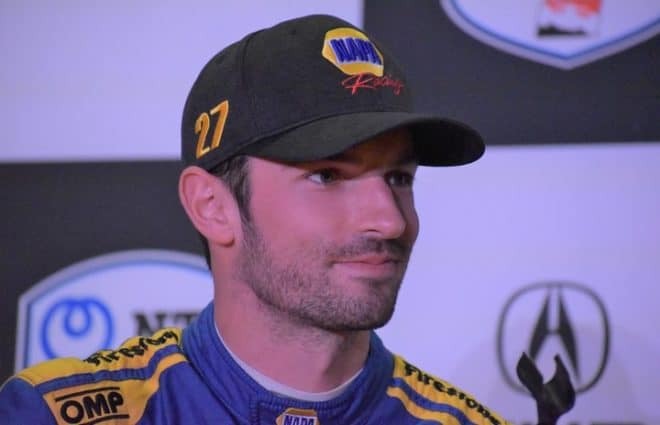 While he was the beneficiary of a timely caution that changed the course of the race, Herta hung right with Will Power and Alexander Rossi for 30-plus laps around the 20-turn circuit. He clearly had put together a podium-worthy drive had the race played out differently. It wasn’t anything like Carlos Huertas winning the lottery at the 2014 Grand Prix of Houston; Herta was legit. But will it be anything like Rahal’s record-setting win in 2008? I sure hope not. Rahal didn’t get back to the top step of the podium until 2015. Now driving for his father at Rahal Letterman Lanigan Racing, he’s since racked up another four wins and four straight top-10 finishes in the season-long standings. But that’s hardly what anyone expected in the aftermath of his first win. With Herta, it does feel a little bit different. He has the luxury of having Harding Steinbrenner Racing and Andretti Autosport support behind him. Rahal and his team, by comparison, were trying to adjust to a new series, a new chassis, a new engine and new tracks. It’s only been about five months since the best GT3 teams in the world raced at WeatherTech Raceway Laguna Seca, but they’ll be back there once again this weekend for the third running of the California 8 Hours. A schedule change was made for 2019 to allow for the addition of a nine-hour race at Kyalami Racing Circuit in November. The official entry list has not yet been released, but Porsche has announced the two teams that field their factory efforts next weekend. They will be Wright Motorsports and Park Place Motorsports. Wright Motorsports, which moved back from IMSA to what is now Blancpain GT World Challenge America for this season, served as Porsche’s factory team for last year’s race. Meanwhile, the Texas-based Park Place team is brand new to SRO competition. Last October’s race featured an entry list of 32 teams, split between GT3 machinery (with Pro and Pro-Am division), GT4 machinery, TCR cars and one GT Cup car. This year’s grid will likely be similar with multiple manufacturers backing entries. In addition to Porsches, there will be Mercedes-AMG GT3s, a couple of Bentleys and a couple of Audis.